Diva Art Group has created a digital window to works of artists like Pablo Picasso; Frederick Hart; Lelia Pissarro; Erte; Todd White; Dr. Seuss; Mark Kostabi and many more.. You may find our listed artist's works alphabetically arranged in our gallery on the Art For Sale page, or in our Search field. We hope that this makes your search easier. AND ON LINE SINCE 1995! Please do not hesitate to inquire about your favorite artist. Our mission consists, not only of price, but also of Diva Art Group's signature world-class service. Repeat customers and referrals however, are only a part of our motivation to deliver this service, every time, without fail. Word of mouth perpetuates the cycle. Your happiness is our success. 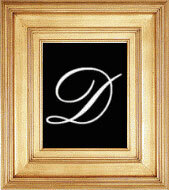 Consider Diva Art Group, your source for the best value on fine art works by your favorite artists. We help you acquire the art you want, with the service you deserve, at a price you will enjoy. We appreciate your visit today, and look forward to serving you. "Widsom of the Orient Cat"
"Old $100 Bill (American Money)"
"When the Lights Are Low"
As a serious art collector, I look to Sandy for advice and vetted artworks. Because of the expertise provided, I have purchased five pieces and each time I believe Sandy represented the seller with the utmost honesty and integrity. I will continue to look to this dealer for future acquisitions. I sold my Erte Bronze “Two Vamps” through Diva Art Group, They were very professional and the transaction went smoothly between the buyer and myself. I would highly recommend this gallery and its owner Sandy Maghan. I have another Erte, a serigraph "Hearts II, Red” that is listed by Diva Art. I have complete confidence and await further correspondence with Diva Art Group regarding this work. “I first worked with Sandy about 5 years ago when I was looking for a Richard MacDonald piece. She found one for me and kept to my budget. Since then I have dealt with her twice more - first as a seller and then as a buyer - and found her responsive and helpful. She also has given me real estate tips regarding her old hometowns. I would recommend dealing with Sandy anytime. Sandy was a great listener and provided prompt expert guidance in finding the item that was perfect for us. The transaction was very easy and the item arrived in perfect condition.